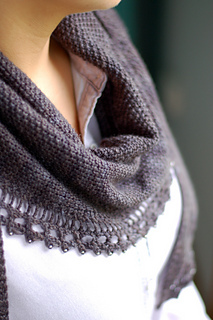 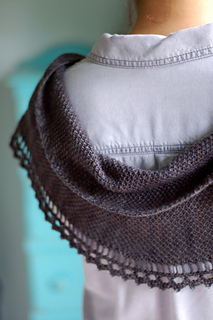 Shawl is fully adjustable due to its sideways construction. 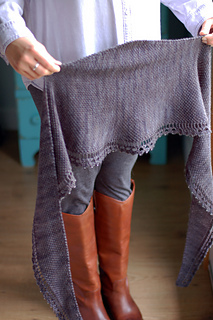 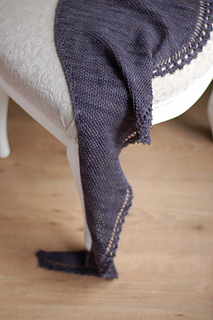 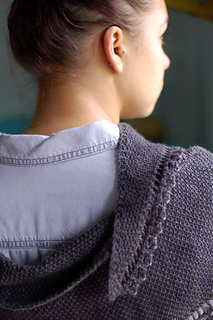 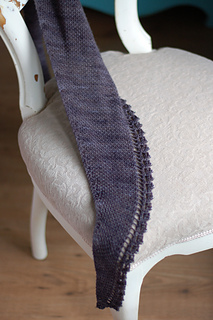 This easy to knit and wear shawl was designed for a class I instruct at Tolt Yarn & Wool. 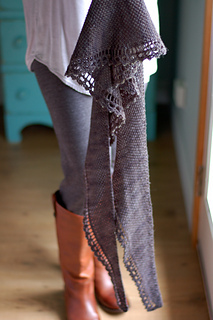 Its side to side construction allows for you to knit this shawl in any size, just weigh your skein as you go. 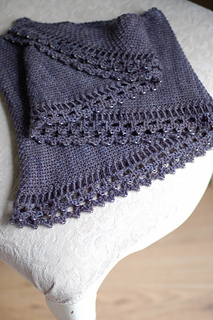 The shawl does include beading instructions, but the beads can easily be left off.